This 3-piece set will be a wonderful addition to your Christmas décor. Mary and Joseph stand approx. 12" high. Create something unique for your Christmas decor. 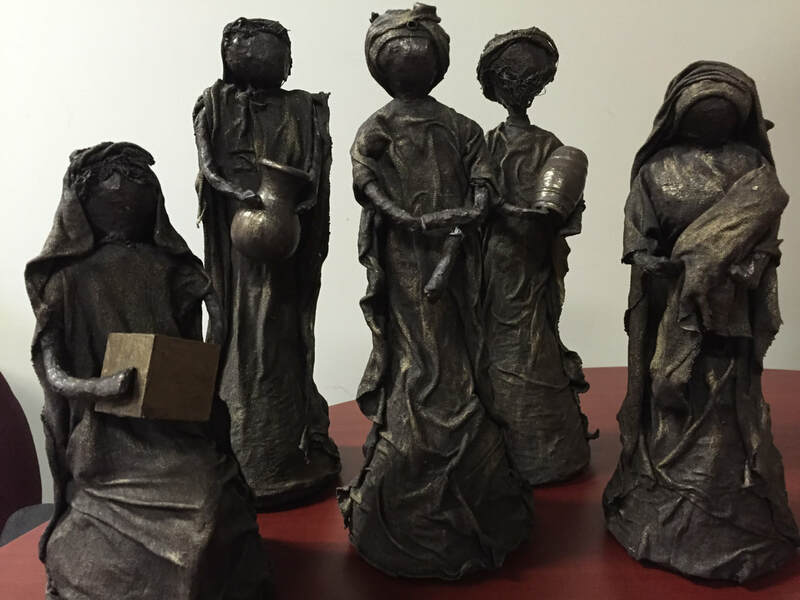 This set of 5 sculptures can be completed in 1-1/2 days. The sculptures are approx. 12" high and you can choose to make the three wise men or three shepherds to accompany Mary, Joseph and baby Jesus. 2 XL cotton t-shirts, a roll of aluminum foil and your lunch. ​Small items to use for gifts the Wise Men can hold. These must be of a natural materials (wood, ceramic, glass, etc. Not plastic).